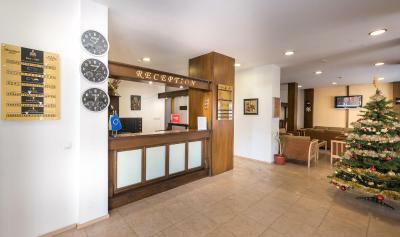 The hotel is located close to center, about 10 minutes walk. The spa center is good and not very crowded, The Breakfast is varied. The room was clean and it was really warm inside. The breakfast was ok.
Nice, cosy and quiete place with friendly staff. The hotel is near the Cable car. The room was clean and warm. Staff were extremely friendl/pleasant . Constantly had hot water. Room was always warm and cosy. Spa facilities were just right and never over crowded. Town centre was only a short walk away. Breakfast was warm and what I expected on the continent, with a varying selection as a whole. Friendly staff, very helpful. Free bus to the slopes every day. Steam room and spa area was good. Had to buy slippers to enter for 3lv. Rooms were clean and warm. Plenty of hot water. Shuttle bus to the main gondola station until 10am then last one back at 5pm. Very reasonable bar prices. Very good location.Comfortable place. Nice and helpful staff. Tv channels were great with HBO, CINEMAX . Very warm room. Hot water. Renovated bathroom. Very good breakfast and dinner. Very reasonable prices. Comfortable, clean rooms and good value. Good Irish pub a few minutes away. 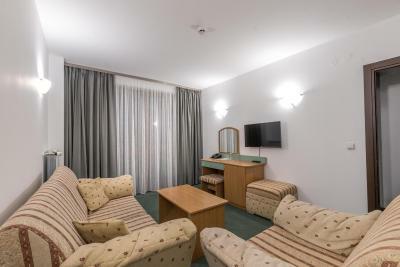 Hotel Iceberg Bansko This rating is a reflection of how the property compares to the industry standard when it comes to price, facilities and services available. It's based on a self-evaluation by the property. Use this rating to help choose your stay! 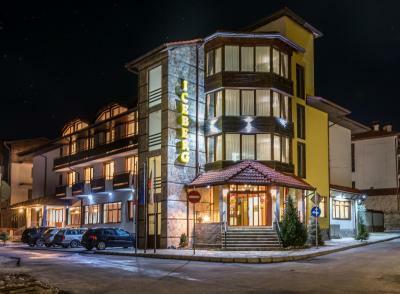 Hotel Iceberg Bansko is only 8 minutes' walk from the main gondola elevator, at the foot of Pirin Mountain. Free daily transfers to Bansko’s cable car and free Wi-Fi are offered. 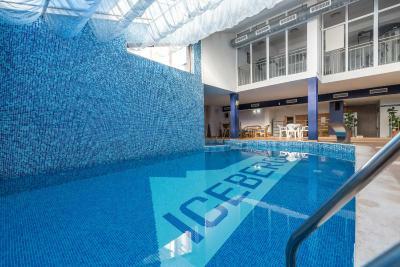 The Iceberg’s spa area consists of many facilities such as an indoor pool, a hot tub, a hammam and a massage area. A sauna is available at a surcharge. 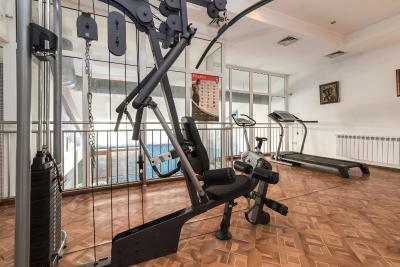 A fitness center are at guests’ disposal as well. 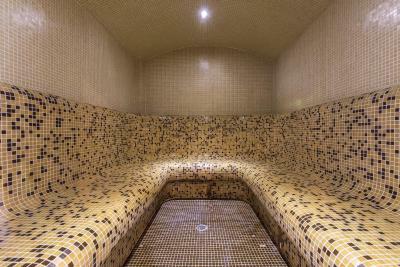 In addition, there is a steam bath on site that is free of charge. Iceberg Bansko Hotel offers rooms with balconies, cable TV and a refrigerator. Guests who do not want to consume breakfast in the dining area can use the hotel’s room service. The restaurant’s rustic dining area has an open fireplace. Bulgarian and European cuisine, as well as fine wines are served there. A ski storage room and free public parking is possible nearby. 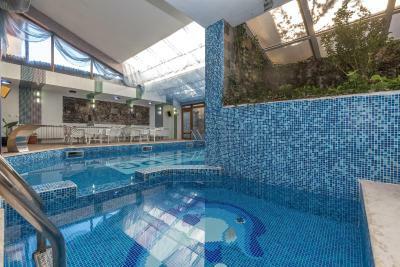 When would you like to stay at Hotel Iceberg Bansko? This room consists of 2 separate bedrooms, one with a double bed and another with 2 single beds. It offers panoramic views of the mountains. This room features 1 double bed or 2 single beds, and comes with a sofa bed which can sleep 1. This apartment features a cable TV, a balcony with mountain views and a seating area with a sofa. 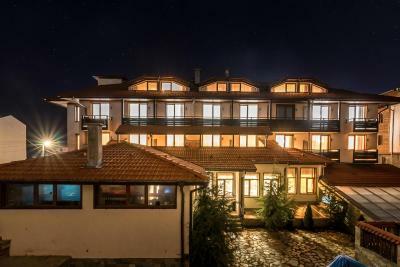 House Rules Hotel Iceberg Bansko takes special requests – add in the next step! Hotel Iceberg Bansko accepts these cards and reserves the right to temporarily hold an amount prior to arrival. Please note that if you book without a credit card, a bank deposit is requested. Please note that a New Year gala dinner is included in the room rate on the 31st of December. The floor of the rooms was not clean. No facility to make Tea/Coffee in your room considering the room came equipped with a fridge, also no Iron or ironing board either. 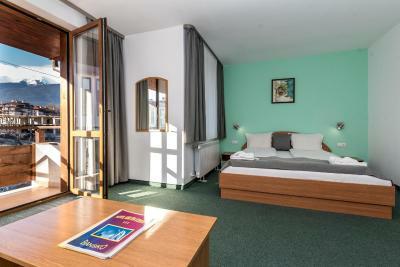 Wasn't able to use the lovely room downstairs more than once during the whole week which was shown on the advert pics. When asked why not was given different excuses. 'Not enough staff' 'No firewood for the open fire' when we could see that there was sufficient. So had to go back into our room as the small lounge area was full. Food quality was not up to much. Also Too little choice and repetitive. The internet is slow. The breakfast starts at 8 AM and the first shutle to the gondola is at 8:30. For us, 30 minutes was not enough time to eat and get ready in time for the first shutle. I would be better if the breakfast would start at 7:30. The shutle from the gondola back to the hotel is at 3, 4 and 5 PM, at least one more shutle at 4:30 would be good. Very bad bed. The staff does not speak English. Sound insulation very poor. The cleaning ladies barged into the room at 08.00 on check out day and they woke us up. Weird smell from the bathroom. Sauna and games room had to pay extra to access. No toaster at breakfast. the doors of the shower cabin were barely hanging...this should be repaired. Beautiful mountain hotel. Excellent breakfast and SPA. Spacious room and friendly staff.